Woodstock Plantation Shutters by Just Shutters, the name synonymous with quality and service. The quintessentially British market town of Woodstock and the surrounding areas including Blenheim, benefit from stunning views and characterful architecture. The area boasts some impressive homes, including of course the palace itself, yet none are more important to you than your own. Woodstock Plantation Shutters from Just Shutters are your local choice! We have the skills and experience to make sure, whatever your property’s age and style, we create the perfect solution for you. Call 01235 424282. 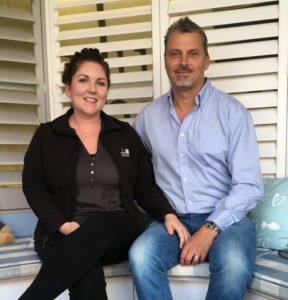 Husband and wife team James and Charlotte Chenery (pictured right) are your local experts.They understand that your home is your castle, and whether it is a beautiful townhouse, a traditional country home, or a flat on the outskirts of town, we will provide the tailor-made window covering perfect for you. Just Shutters range of shutters is second-to-none. We have styles to suit any home and decor, including our own exclusive ranges. Please don’t mistake us for a curtain or blind company that have shutters as a sideline; shutters are ALL we do. 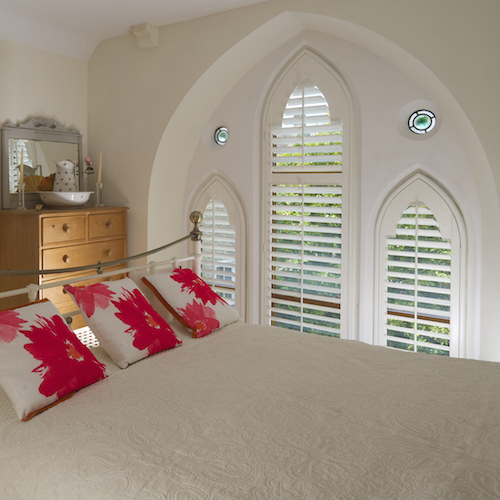 We specialise in nothing but beautiful, space transforming, quality plantation shutters. We are the experts, passionate about our products, quality and overall service. While they look amazing, shutters are also extremely practical. Unlike blinds or curtains, our shutters are made to last. Coming with our market-leading lifetime guarantee, they provide added value for money year on year. While curtains may fade, gather dust and mildew, or blinds may tatter or warp, shutters provide a practical solution year-in, year-out. They are extremely low maintenance and look as good as new with the swish of a feather duster. Call James and Charlotte today for more information or a free home visit. At our design visits we can show you samples in your windows to get a real sense of how our shutters will work in your home. Call 01235 424282 or request a brochure or design visit by following the buttons below. Installation of shutters to kitchen windows. Shutters installed to two bedroom windows. Fitted shutters both downstairs, front window and upstairs. Supply and install plantation shutters. You may also like to see: plantation shutters Oxford, plantation shutters Banbury.